WHO: Ms Joyce Lee, 42, Founder and Managing Director of Film Distributor Encore Films. 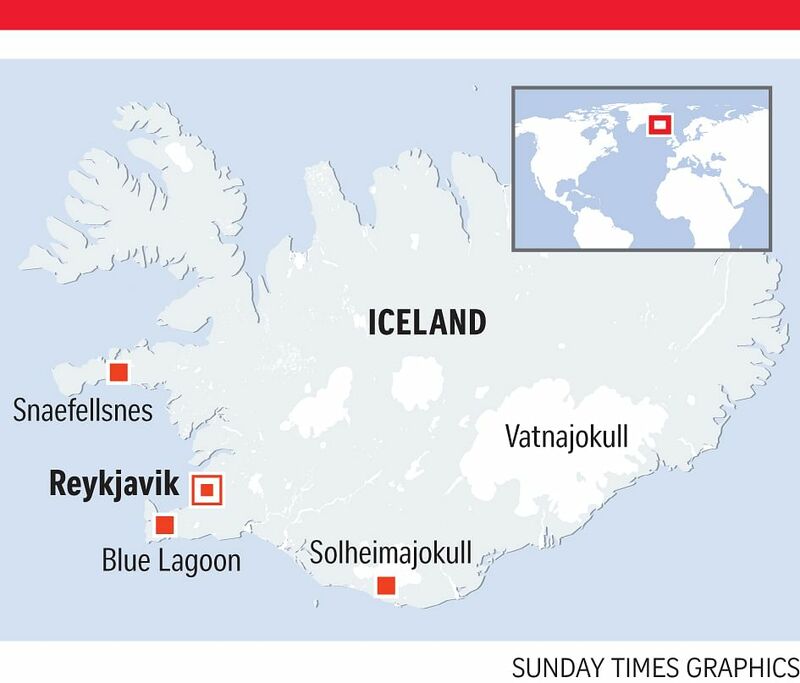 Favourite destination: Reykjavik, Iceland. Initially, I wanted to visit Iceland because I had heard so much about the Northern Lights and because I had seen how beautiful the country is from scenes in the 2013 movie, The Secret Life Of Walter Mitty, starring Ben Stiller. It does not disappoint. Travel to Iceland for its wonderful nature, spectacular Northern Lights and the beautiful glaciers. I saw the Northern Lights on my second attempt and it was amazing to see the colours flashing in the sky, but it lasted for only five minutes. My trip to Solheimajokull glacier, 160km east of Reykjavik, was spectacular. I enjoyed walking on ice and taking in the incredible sights. In some places, ice gets lodged on the valley's jet-black volcanic sand and the way sunlight shines through it is much more beautiful than the reflection of diamonds. The best ways to get to Reykjavik are via Helsinki on Finnair, via Copenhagen with Singapore Airlines and Scandinavian Airlines and via London with Singapore Airlines or British Airways and Icelandair. • Stay at least three to five days and take long trips to the countryside to visit the scenic sights. If possible, stay in one of the many beautiful lodges run by locals. • Watch the movie The Secret Life Of Walter Mitty for inspiration before your trip. Then, when you are passing through Borgarnes, a town about 100km north of Reykjavik, stop in Geirabakari Kaffihus (www.geirabakari.is/heim) - the roadside eatery which was famously portrayed as a Papa Johns pizza chain in the film, but is an excellent and affordable bakery in real life. • Iceland is incredibly safe, organised and efficient. You can pay with your credit card everywhere. • Surprisingly, it is not that cold in winter - about 0 deg C on average. The seafood, especially fish such as Arctic char and haddock, is great in Iceland. It is fresh and sweet. Try the fiskisupa (Icelandic fish soup) and the lobster soup at The Fish Company (www.fiskfelagid.is/en), a fantastic seafood restaurant in Reykjavik where locally caught seafood is served in contemporary-style dishes inspired by countries around the world. You can find delicious fish and chips at Icelandic Fish And Chips (www.fishandchips.is), near the harbour. The day's catch is coated with organic spelt batter and fried, or baked or served in fish stew. Garlic-roasted langoustine tails are also on the menu for 5,190 Icelandic krona (S$66) for 300g. My favourite restaurant is Fishmarket Reykjavik (fiskmarkadurinn.is/english), which is the best restaurant I have visited in Iceland. It has a fantastic atmosphere with creative Asian-inspired food and beautiful cocktails. Try the tasting menu, which costs 11,900 krona a person and might include dishes such as bitter lemon-glazed arctic char with edamame puree and rock shrimp tempura with sweet melon and onion sprouts. Every course was presented perfectly and tasted wonderful. I am not a big fan of breakfast, but in Iceland, I would go for it at The Laundromat Cafe (tinyurl.com/y7gkm4q8). The breakfast here is good and, as the name suggests, you can get your laundry done in the restaurant's basement. After five days of Icelandic food, I had a strong craving for Chinese food. When I Googled "Chinese restaurants" in Iceland, I realised that there are only six in the country and one called Fonix (www.fonixveitingahus.is) had the best reviews. Chinese business magnate and founder of Alibaba Group Jack Ma has eaten there. The restaurant's owner has a photo of herself with him behind the counter. I paid more than $100 in taxi rides to get there, but it was definitely worth the price and effort. I ordered the fish of the day, steamed Hong Kong-style, mapo tofu and black pepper beef. The fish was cooked perfectly, something that is hard to find even in Singapore. A meal there costs 11,560 krona. One can explore more of the country during the warmer months, when the melted snow opens up the roads. But if you want to see the Northern Lights, you have to visit in the winter months, when the sky is dark for a good portion of the day. I enjoyed the Golden Circle tour of Iceland, a roughly 300km circuit from Reykjavik to see the landscapes Iceland is renowned for - the magical Gullfoss waterfall, Geyser geothermal area and Thingvellir National Park. I also recommend heading west to the Snaefellsnes, a 90km-long peninsula which is said to encapsulate all of Iceland's natural beauty in one place. Here, you can see picturesque towns, mountains, wildlife, glaciers and more. If you do not drive or would like to join a small group tour, you can go on the Golden Circle tour with GeoIceland (geoiceland.com) - a value-for-money, mass-market tour operator. The eight-to nine-hour tour to see highlights, such as Thingvellir National Park and the site of the old Viking parliament, a geyser hot spring at the Haukadalur geothermal area, Hveragerdi earthquake town and Faxi waterfall, costs 10,900 krona a person. The company also runs glacier walks as well as Northern Lights, snow-mobiling and southern coast tours. For private or small group tours, I used Seasons Tours (www.seasontours.is). I booked a southern coast tour with them and at 39,900 krona a person for the day tours, it was a bit more expensive. However, our guide, Tyffi, was knowledgeable and it was nice to be able to make more stops along the way, such as visiting secret waterfalls that only the locals know of. The guide also doubles as a photographer and sends guests the photos via Flickr to download after the trip. I highly recommend a visit to the famous Blue Lagoon geothermal spa (www.bluelagoon.com), located in a lava field in south-western Iceland. Book in advance because it is one of the most popular attractions in the country. Visitors can enjoy an in-water massage, rest in the lounge or relax in the outdoor heated lagoons, which is an incredible experience when it is snowing outside. Things are expensive in Iceland. A nice wool sweater will cost about 25,000 krona. You can buy beautiful and quality leather gloves for about 6,300 krona - make sure they are made in Iceland and not China. I picked up flaky sea salt in all sorts of interesting flavours. They have salt in flavours such as Arctic thyme, birch smoked, liquorice and lava - which cost about US$11 (S$15) for 100g - and taste great sprinkled on bread and butter. You can find them in most souvenir and gourmet shops. The Black Pearl Apartments (www.blackpearlreykjavik.com) in downtown Reykjavik, near the harbour, is close to all the great restaurants. The rooms are stylish, big and well-designed. The management takes care of your laundry free of charge. I also recommend spending a few nights in a beautiful lodge run by locals, such as Hotel Ranga (www.hotelranga.is), about 100km south-east of Reykjavik, where you can see a sky full of stars and the Northern Lights.